Sacrifice of Love: Contact Me! I love to write on this blog, but I really love to build community and have conversations with other people. Do you have any thoughts, questions, or comments about something I've written? Are there any topics that you want me to blog about or products you wish me to review? Are there any speaking or writing opportunities that you want to discuss with me? 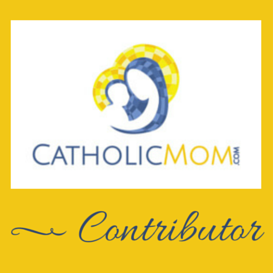 Do you have any burning questions about the Catholic faith? Drop me a note, and let's chat about whatever is on your mind. By way of introduction, I am the author of Stoker's Manuscript. Just wanted to, first, thank you selecting my novel and taking the time to read it. And secondly, thank you for you thoughtful review. Your kind words are appreciated. I had a great time writing it. Busy now with several projects, one of which is the second in this series. Thank you so much for taking the time to drop me a note! That is so very kind of you. I really, really enjoyed your novel, and am quite excited that I noticed it on the library shelf! I am excited to read the next installment in the series! Hi Anne Marie, your email address does not work it seems. John.